Specify the SMTP server connection settings. By default, ProtoMon will only connect to the server and authenticate. 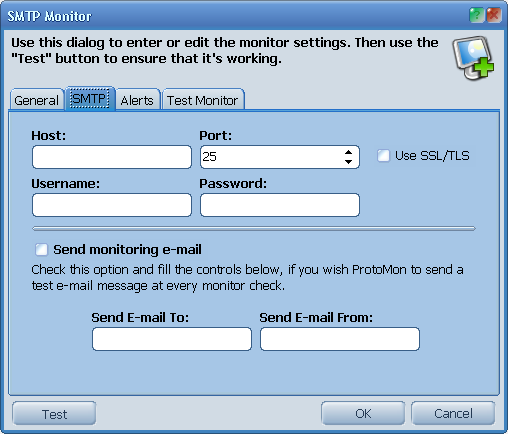 Select the Send monitoring e-mail option, if you wish ProtoMon to send a test message on every check.